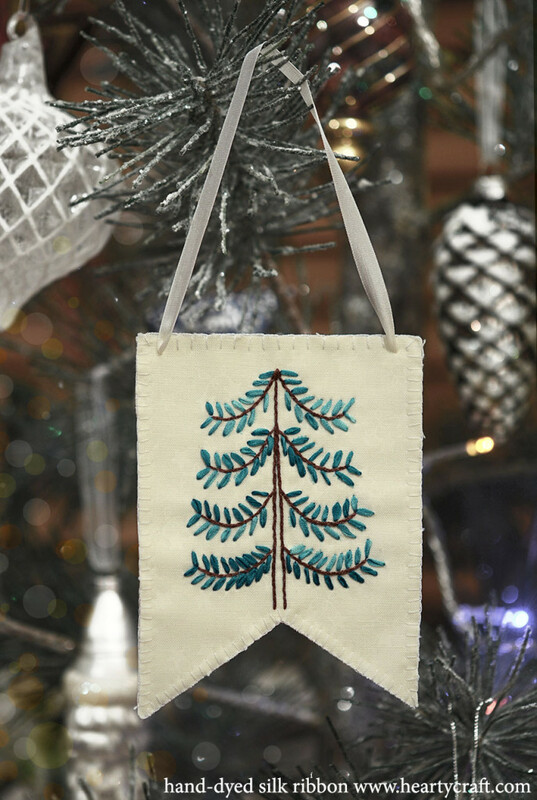 Thinking of stitching Christmas tree with silk ribbons? Here is an easy project to give you an idea how to use ribbons for Christmas stitching. The piece is quite quick to make, and it’s a perfect project if you’ve never tried silk ribbon embroidery before. There are only two stitches here: backstitch for a trunk and brunches with embroidery floss, and straight stitches with silk ribbon for a realistic tree finishing. This entry was posted in Blog Posts and tagged Free Patterns, Silk ribbon embroidery, Tutorial on 12th December 2014 by Zinaida. It happened at last. Brown shades are now available in our silk ribbon palette! Stitching tree trunks, branches, twigs, and even pine cones — those are just some obvious ideas of what you can put new ribbons into. They are also perfect for stitching baskets! The ribbons are available in two width — 4mm and 7mm wide. Take a preview of the new shades below. Click on a ribbon colour name to go directly to the product page on our online store. This entry was posted in Site News on 11th December 2014 by Zinaida.